Industry dominance, NJ–focused expertise and proprietary energy technology make us the best choice for solar in the tri–state area. Green technology yields quality of life for future generations. Let us show you how to save financially. Your choice to save with solar might be simply to lower your monthly bills, or you may just want more control over how your home energy is sourced. Maybe you’ve heard of free solar pro-grams. Whatever your reason, there’s never been a better time than now to making money with the abundant energy of the sun. Federal and New Jersey state solar incentives are at an all-time high. Act now! Before Incentives are reduced/eliminated. For decades, homeowners like yourself have been forced into a one-size-fits-all solution to pro-vide electricity. But everyone’s financial profile and energy needs are different, so why not have a system de-signed to meet your home’s energy usage? That’s exactly what a state-of-the-art solar sys-tem can give you. At NJ Solar, we pride ourselves on matching state-of-the-art technology to your financial and energy needs. When you go with New Jersey Solar Power, you’re getting New Jersey’s foremost experts in solar energy. Today, the state of New Jersey is a national leader in solar energy, but it wasn’t always that way. New Jersey Solar Power LLC has been there since the beginning of the solar energy revo-lution of NJ. With awards for Environmental Excellence and the New Jersey Clean Energy Pro-ject of the Year, we’ve built a reputation worthy of being your partner in clean, efficient solar en-ergy. Contact us today to get free customized pricing that’s tailored to your home or business. As most people are about solar, I was a bit skeptical in the beginning. However, Mike Stalba and the crew answered all my questions and provided a timely and excellent install. Don't lease and give your credits and $ to someone else. Owning your system is the way to go and NJ Solar can help you make that transition. Great investment and the $ is rolling in! We chose NJ Solar Power because they gave us options on installation and financial planning tools that made sense. They were very professional and efficient with their work. We will continue to work with NJ Solar Power on future projects. NJSP not only installs quality systems, but by giving the ability to monitor our energy portfolio and then act on that information sets them apart in this industry. I just got my panels from NJ Solar Power. I was very impressed with the entire process. They explained everything I was to expect and always answered all my questions no matter how silly they were. When I look at my meter and it's either barely moving or it's spinning in reverse I get all excited. I can't wait to see my first full electric bill. If anyone is ever considering panels, I highly recommend NJ Solar Power. Our experience has been nothing but great while working with NJ Solar Power. They are friendly and professional in every step of the process. They also handled all of the paperwork when it came to the rebates, which made it so easy for us during this transition. NJ Solar Power was founded in conjunction with the launch of New Jersey's Clean Energy Rebate Program. 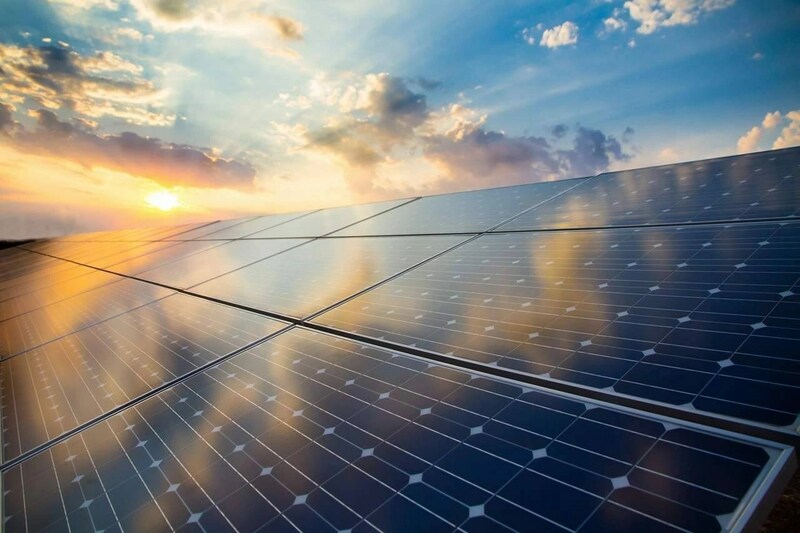 This partnership along with NJ Solar Power's early adopter status and keen sustainability energy insights propelled the company as a leader in the commercial sector.